There are three Isuzus on our list, and two of the three share an important distinction: GUIGIARO(!). The Impulse (known as the Piazza outside of North America) was one of the earliest examples of Guigiaro’s (now at his own firm @italdesign_official) “folded paper” design paradigm and, well, it’s hard to not see it in the first generation car. Later, Lotus would get its hands on the Impulse’s suspension tuning. Contemporary reviews from the motoring press, even the persnickety Brits, immediately noted a marked improvement in handling, particularly at high speeds. 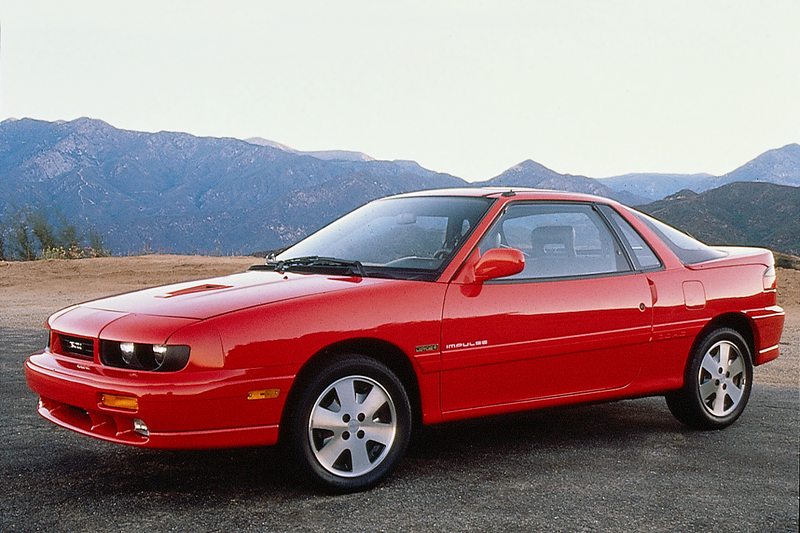 The Impulse would enter its final form in the 1990 model year with significantly revised styling and, more significantly, a move to a front engine, front wheel drive/all wheel drive layout on a new General Motors global chassis. Similar to the Lotus Elan M100 with which it shared more than a few commonalities, the move to a transverse, front-wheel drive platform might seem odd, but Isuzu’s engineers set out to ensure this would be no let down. 1991's Impulse RS featured all wheel drive and 160 turbocharged horsepower in a 2700 pound package, plus rear wheel steering and continued chassis influence from Isuzu’s GM corporate cousin in Lotus.